Your childhood will be with you forever. For those who were emotionally abused growing up, this fact can be a nightmare. Emotional abuse will leave lasting scares that many people never recover from. It can lead to various forms of mental illness and relationship problems. If you or someone you know is the victim of emotional abuse, don’t be afraid to ask for help and tell people how you feel. Emotional abuse is a terrible burden to carry around. Many people do not even realize it is affecting every aspect of their lives. It can be an awful struggle to deal with, but it is important to never give up. As reported directly from the mouths of victims, here are 10+ things that adults do when they were emotionally abused as a child. 1. You can’t stand conflict. Sudden loud noises immediately trigger you fight or flight instinct. 2. You can’t accept compliments. As children people only talked about your mistakes and flaws. 3. You overachieve in an attempt to prove yourself. 4. You believe everything you do is wrong, no matter what others say. 5. You apologize all the time due to always feeling like you are to blame for something. 6. You isolate yourself and use your home as a safe place. 7. You don’t trust anyone, and will rarely let others in. 8. You are indecisive because you feel like whatever you choose will be wrong. This makes you fear to be a parent. 9. You are hardly yourself because you will never say anything that another person may not agree with. No matter what, you remain neutral. 10. You are so defensive that you come off as cold or cynical. It is your barrier. 11. You don’t like to accept love and believe it is never unconditional. 12. You try too hard to please anyone who is an authority figure. 13. You feel the need to explain in detail everything that you do, and have trouble saying no to anyone. 14. You do not ask for help because you believe something will be wanted in return. Due to this, you have trouble finding a best friend. 15. You are paranoid and have trust and attachment issues. This leads to a lot of problems with relationships. 16. You are too shy and never have a voice. 17. You hide the ‘bad’ side of yourself from everyone. 18. You never think you are good enough or smart enough. No matter what you accomplish, it will not block out the negative words in your head. 19. You have trouble accepting that there are people who genuinely love and care for you. 20. You can’t make eye contact because it scares you. 21. You have trouble communicating your feelings, which can raise your anxiety levels and lead to depression. 22. You will never fight back, and can only cut people out of your life by getting help. 23. You blame yourself for absolutely everything that happens. 24. You have trouble finding out who you are, and what your true beliefs are. 25. 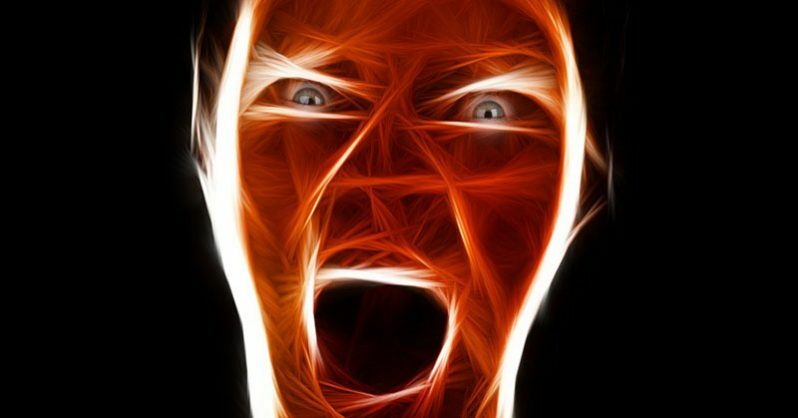 You have an enormous amount of anger, and it causes you to lash out through social media where you can hide behind a screen.